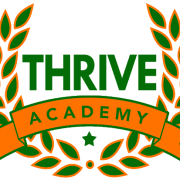 One of the things that is great about our Thrive Academy is the spirit of volunteerism and traditions. We have an amazing opportunity for you to experience both of these at once by volunteering for Operation School Move-In on August 10 - 11 , 2019. What is Operation Move-In? This event is a collaborative effort for faculty, staff, student and community volunteers to assist in helping the Bulldog Nation move into their new school building. We would love to have you be a part of the Bulldog Nation.